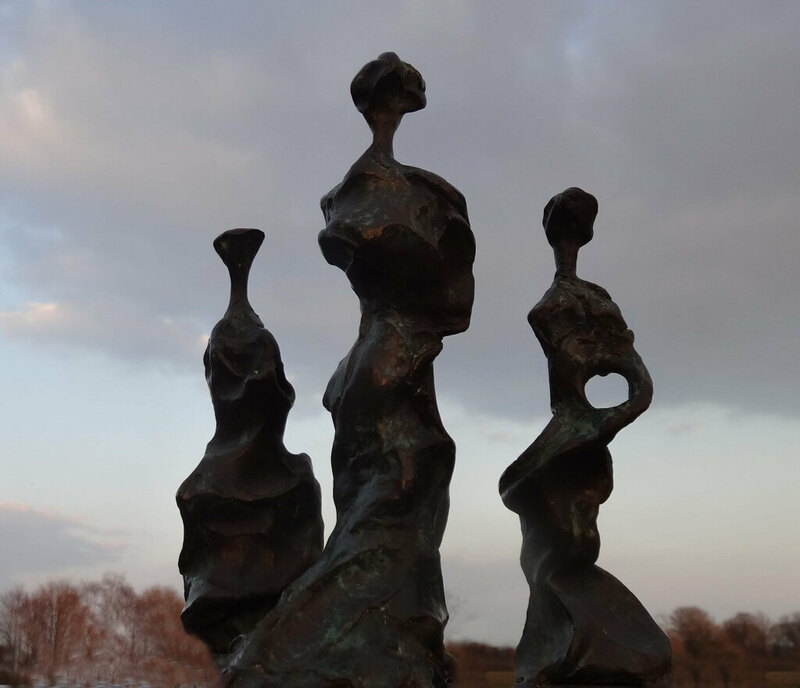 I am a huge admirer of Henry Moore and I love Anton Chekhov’s writing too, so put the two together and I have the inspiration for Three Sisters. I would love to enlarge this work which at present is just a maquette, so this is another work which I would love to have commissioned and then I can get to work in the studio to work with Richard Clarke, a professional sculptural agrandisseur, and with his pantograph, enlarge all three figures to perhaps life and a quarter in size. 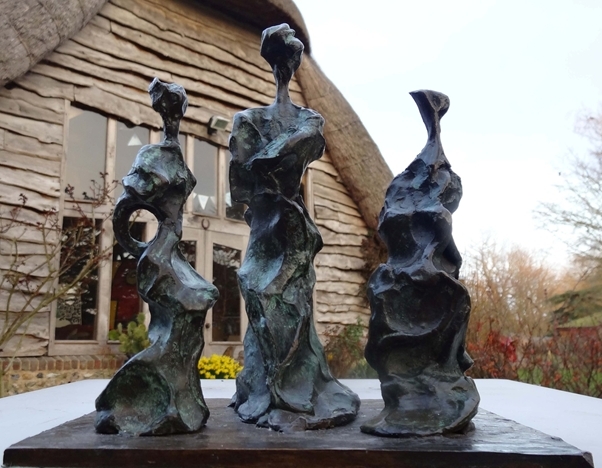 The existing casting is in bronze and is No 1 of an edition of 8. Nos. 2 to 8 can be cast to order. 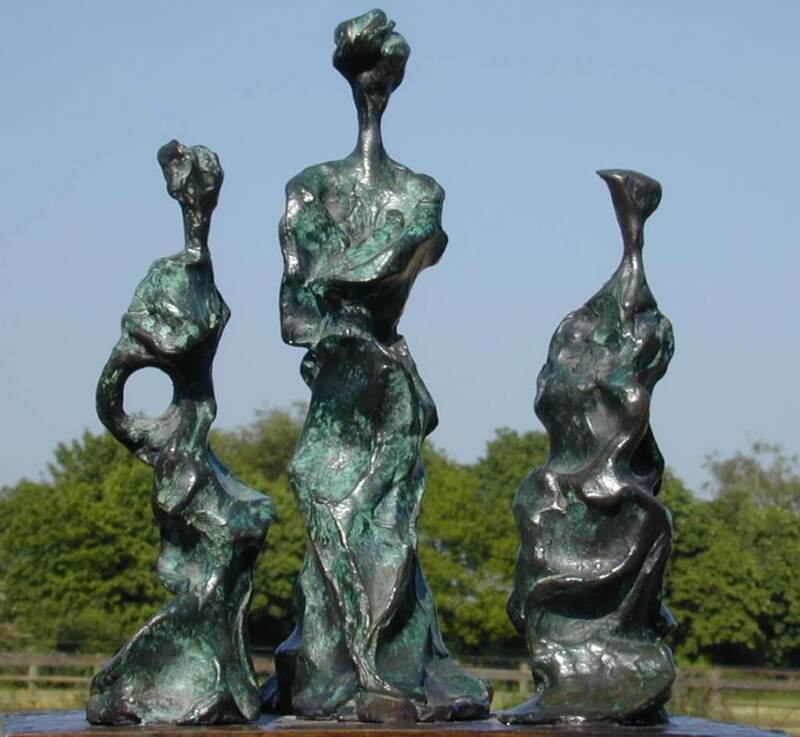 A major enlargement would be an edition of, 3 at 2.4m high cast in bronze.